Michael Lynd joined CHS in 2001 as Corporate Accounting Manager. He was promoted to Director of Corporate Accounting in 2004, Vice President of Internal Audit in 2007, Vice President of Financial Services in 2012 and Senior Vice President of Financial Services in 2015. Lynd oversees the Patient Financial Services group and internal collection agency. He has served as chairman of the Risk Committee, a member of the Disclosure Committee, and contributed to the development of the company-wide financial policies and procedures. 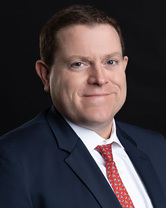 With more than 15 years of accounting and audit experience, Lynd previously was a senior associate in the audit division at Deloitte & Touche, LLP, where he supervised audits of large, publicly traded companies and governmental agencies.